High quality RAM at a good price. Nothing else to say. I like the design + color. RAM is RAM. 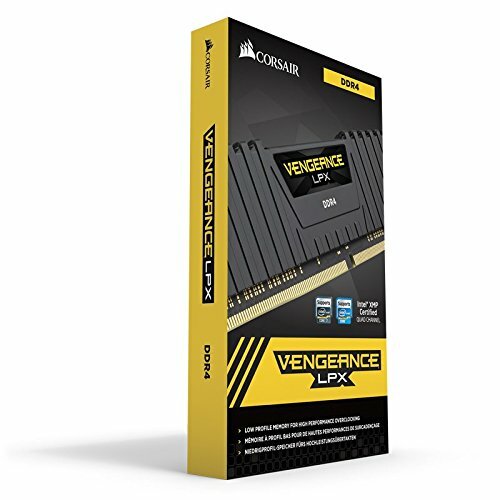 Cheapest 2x4gb black RAM I could find, price was tough and memory seemed to be slowly going up with no end in sight so I shelled out for it. its great but with my motherboard it uses 2666 as OC and I don't want to OC my gaming pc so I have it at 2400 right now maybe later I will change it. It's RAM, and it works. Reasonable price if you don't want to go to the expensive 16GB 3000MHz. Don't really need those if you don't play every game that comes out. I know how much Ryzen loves RAM, this is the minimum and it does the job. Just get it up to rated speeds with XMP if need be. Very good kit of ram, very reliable even when overclocked to 2933mhz.